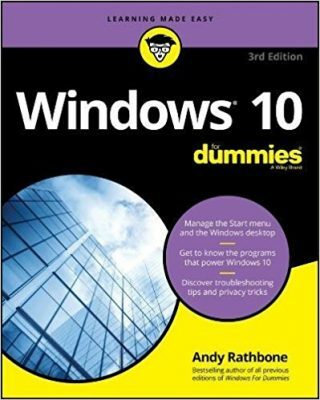 Andy Rathbone » Why does Windows show my file names in green letters? Q: My friend sent me a folder with zipped files. When I opened it on my computer, Windows showed the files’ names in green letters, rather than the normal black. 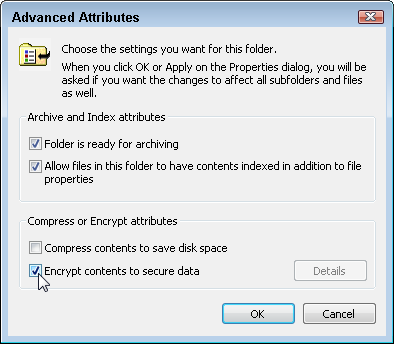 A: Displaying file names in green letters, as shown above, is Windows’ way of telling you that those files are encrypted: They’re encoded to keep out snoops. Right-click the green-lettered file or folder and choose Properties. When the Properties window appears, click the Advanced button. Click to remove the checkmark from the box called, “Encrypt Contents To Secure Data,” shown below, and click the OK button. The letters return to their normal black, and you can share them with others without problem. This didn’t happen because of a virus, so no worries there. No, this annoying problem usually pops up when dealing with a file that’s been zipped on an Apple computer, then opened with a Windows Vista or Windows 7 computer. Did not work for me. I am my account owner and it not working for me. I lost control over many files that I generated even in the same directory. No one around me could figure out why. This worked great for me. This issue had caused me many issues in the past and I never knew why until now. Thank you!! When doing this, I found that I had to un-highlight the “Read-Only” box in Attributes before clicking on the “Advanced” button, or else the encrypt box wasn’t clicked when I looked. Once I cleared the read-only check box, I was able to un-encrypt the files. 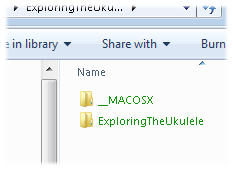 My files and folder names always change to green even when I just move them, eg: from the desktop to another place. I can change them back to black easily, but as soon as I move them they change to green again! It’s getting annoying! Please help! Graham: See the tip by Syl above; it sounds like you’re moving files between encrypted and unencrypted folders. This worked for me, thanks! One additional clarification: The file you right-click on to open the Properties box must be one of the Green files. If you click on a Black folder, for example, because it contains Green files, then when the Properties box is opened, the only option you have is to turn ON encryption, which is the opposite of what you want. To decrypt a complex folder structure containing a mixture of encrypted and non-encrypted files, where the top-level folder is NOT encrypted, first use the Properties box to turn encryption ON for the entire folder structure. 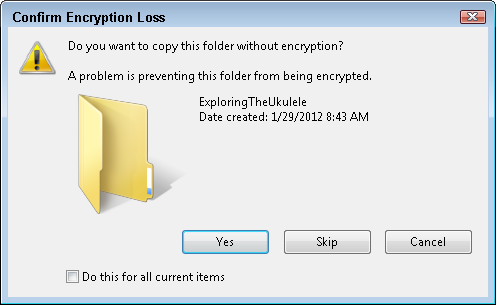 Then use it again on the top-level folder to turn encryption OFF. Takes a while, but works perfectly. Syl: That’s a great tip on how to decrypt mix of encrypted and unencrypted files. Thanks for posting! Hello, Something along these lines happened to me once and few others help, this fix worked for me. You’ve got nothing to lose by trying it anyway. Go to the file in questions’ properties, click on security, click on the box down toward the bottom “Advanced” this brings up a window with 4 tabs at the top, click on the “Owner” tab, click on the “Edit” box, this brings up another window, you want to change ownership of the file to your user account, click on your account in the box showing all the users, check the square next to “Replace owner on subcontainers and objects” now click “Apply” now back your way out the way you came in, clicking all OK/Apply buttons. Restart. Hopefully this solves your problems! I had a similar experience happen and was locked out of a lot of my files having done nothing to cause the change. Thank you, this worked perfectly for me ! the comment from Allison about the ‘read only box’ helped as well..thank you again! Yeah, it works. That’s great, thanks.